Giving you head-to-toe pampering, this go-to exclusive spa treatment features purely natural body masks that are blends of natural flowers, fruits and spices, each one has a different efficacy. Away from the hustle and bustle of the urban jungle, relax and breathe in the wholesome fragrances. Indulge yourself in the serene space to release all the tension and constraints of the body, mind and soul. Enjoy wholeheartedly a carefree and wonderful journey! Warming techniques including trigger point compression and gliding are applied to increase metabolism, alleviating the muscle soreness caused by the accumulation of lactic acid. Treat yourself to new levels of chill! Tips:Suitable for those who are susceptible to nervousness, stress, overworking, muscle fatigue, languidness and physical weakness. Gentle and soothing techniques are applied to relieve the high-strung nerves. Tips:Suitable for those who suffer from cold hands and feet or poor sleep quality as well as expecting or breastfeeding mothers. Involving the application of firmer pressure to reach the deeper layers, this technique works to search for the disordered qi and pulse points to alleviate sore shoulders, stiff neck as well as other aches and discomfort. Tips:Suitable for people who are extremely fatigued, mentally or physically overworked or who suffer from tense qi and pulse points. 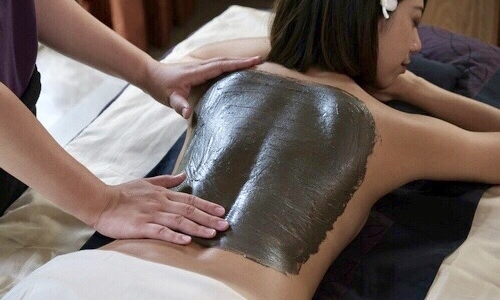 Indulge in this delightful facial treatment to rejuvenate your skin, making it glow and dewy. This plant-based skin care treatment delivers firmness, brightened complexion, hydration and diminished appearance of fine lines, leaving your skin shining with radiance! Tips:Suitable for dry and dull skin as well as for skin conditioning and nursing. Energize the skin and strengthen its defenses to restore the silky smooth skin. The patented natural spirulina has an excellent water drainage effect, which works to reduce your tiredness and boost your metabolism, giving the skin a natural dewy glow! Tips:Suitable for people suffering from poor blood circulation, edema and heavy body feeling. 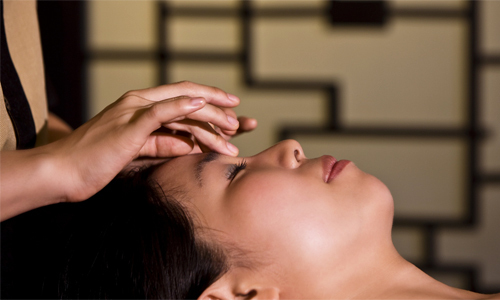 Indulge in the pleasant treatment that leaves your skin rejuvenated. The combination of the natural ear candling treatment and the gentle massaging techniques including gliding, compressing and kneading help enhance blood circulation to the head, neck and shoulders! Tips:Suitable for people experiencing overstrained nerves, dream-disturbed sleep or those feeling tensed and heavy-headed. The eye area is gently massaged and then an eye mask enriched with skin-revitalizing, softening and hydrating serum is applied to lock in the moisture, visibly restoring the eye area and resulting in brighter-looking eyes. Tips:Suitable for people who want extra work on the eye area and those who wish to relieve their stressed and strained eyes. Organic matcha powder and natural catechin enzyme are used to deeply cleanse and gently exfoliate the dull cells, promoting smoother and more radiant looking skin. Tips:Suitable for bodies with a thick layer of keratin, dull and dark skin.